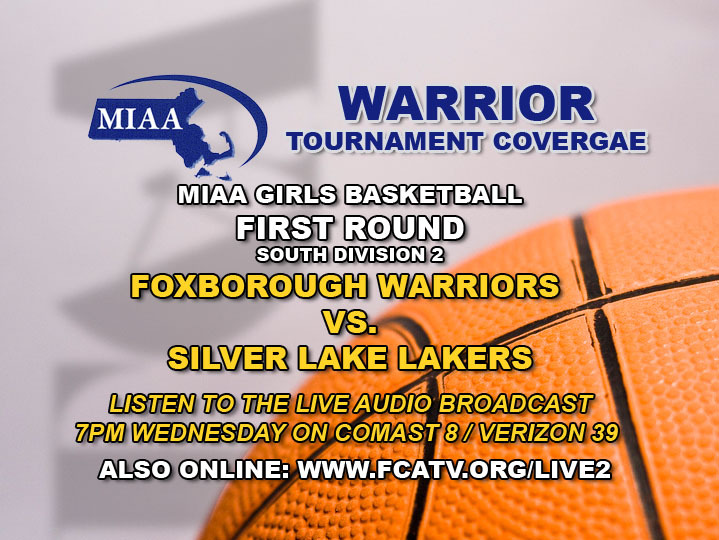 FOXBORO â€“ Foxboro Cable Access volunteers will cover the Girls Basketball team as they play inÂ the First Round ofÂ the Â MIAA South Division 2Â tournament. Â The girls will be playing against Silver Lake Regional High School in Kingston. Â AÂ LIVE audio feed from the game is scheduled to air on Comcast 8, Verizon 39, and streaming on the FCA website. Full coverage of the game will air later in the week, check theFCA program schedule for updates.